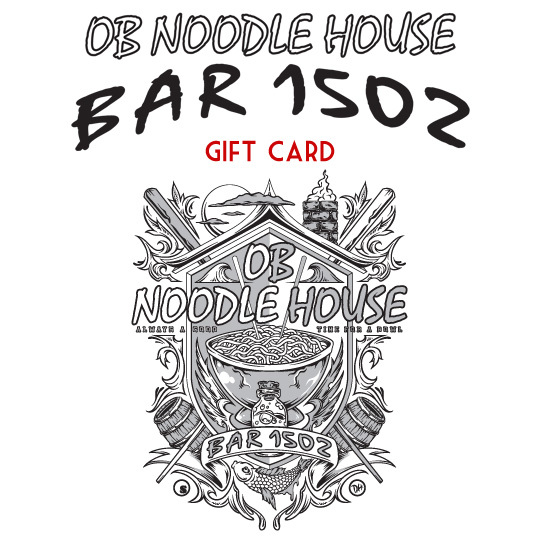 Welcome to OB Noodle House! We’re still getting settled. Check back here for news and updates! We are a retail shop in Denver, CO and we’ve had a few people visit your locations in San Diego. They’re asking about availability of the peanut butter whiskey. Thanks for the message! We have 2 versions of our Peanut Butter Whiskey shot. Or original version is only available at our physical locations here in San Diego. However our recently launched Skrewball Whiskey version is being rolled out for distribution in California and Arizona. We haven’t made it to Colorado yet, but are working to be distributed nationwide soon! Please visit http://www.skrewballwhiskey.com and submit an inquiry for order there so we can add you to our list of requests. In the meantime you can order a bottles of Skrewball Whiskey at http://www.kegnbottle.com for your own personal enjoyment!